More Americans than ever are utilizing pain medications, with the number of prescriptions for pain management increasing dramatically. 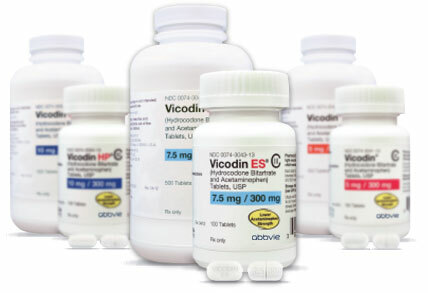 Vicodin continues to be one of the most popular pain relief drugs utilized in the United States. According to a national survey, the number of opioid-based painkillers prescribed has increased from 112 million in 2006 to over 130 million in the US today . What makes Vicodin one of the more commonly utilized pain killers, and what are the dangers of this narcotic drug? Vicodin is a combination of the drugs hydrocodone and acetaminophen. The combination of these two substances targets two pain mechanisms simultaneously, making Vicodin an effective painkiller. In addition, intermixing hydrocodone and acetaminophen in one medication causes a synergistic effect. This means that the merging of these substances induces a more powerful effect than if these drugs were to be taken alone. A study in the journal of Annals of Emergency Medicine found that Vicodin was more effective in pain control than medications that contained morphine as an active ingredient . The nature and efficiency of this painkiller can make this drug so addictive. What may have once been utilized to cope with painful physical symptoms can quickly escalate into much more if the drug is not used as prescribed. In addition to its effectiveness, Vicodin is also more readily accessible than other prescription painkillers. Vicodin is a Schedule III opioid drug, which means that it can be called in to a pharmacy by a physician and refilled. Vicodin can be refilled up to five times before a patient would need to see their doctor again. While the Food and Drug Administration (FDA) is looking to enforce tighter regulations on how Vicodin and other commonly used narcotic painkillers are prescribed, the current process makes Vicodin easier to obtain. The minimal rules governing opioid prescriptions, such as Vicodin, make them more accessible and desirable. Federal data has revealed just how damaging it can be to abuse Vicodin. About 75% of deaths that result from drug overdose involve narcotic painkillers. Many may attribute these consequences to the addictive nature of opioids, like Vicodin, as well as the availability of the drugs. The hydrocodone component of Vicodin is particularly addictive, as long-term use can affect the brain’s reward pathway, which becomes reliant on the drug to function “normally”. Fabricating feelings of a pain: Vicodin is typically prescribed to help manage pain symptoms, such as after surgery. When an addiction has developed, the user may finds ways to claim that pain still exists, even if the original injury has been resolved. This is often done in attempt to have a prescription refilled. Asserting that original prescription is lost or stolen: Individuals addicted to Vicodin may claim that their prescription has been lost or stolen in order to obtain additional refills or to conceal the amount of pills being used. Utilizing more pills than prescribed: In the case of an addiction, a higher dosage that what was prescribed is often used. By doing this, a user will often run out of their medication before they are able to refill it. Abusers may claim that their pain is more intense than what it really is in order to obtain a refill sooner. Doctor “Shopping”: If a medication, such as Vicodin, is being abused, addicted individuals may jump between physicians in attempt to acquire new scripts for painkillers. This is usually an indicator that the drug is being abused. If used appropriately, Vicodin can be an effective medication for managing pain. In order to avoid developing an addiction to Vicodin, it is crucial that it is used as prescribed by your Doctor. Being aware of signs that Vicodin is abused beyond the direction of your physician may be helpful in the case that you or a loved one is struggling with this medication. If at any time, you feel as though you are using Vicodin or any painkiller for reasons beyond what your original prescription was for, reach out for the help and support you need to overcome Vicodin abuse or addiction.